Mauersegler, established in 2003, is located directly adjacent to the park on Bernauer Str. 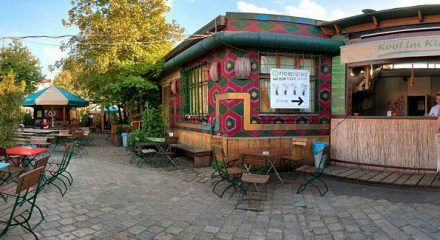 A restaurant with several sections, both open-air and covered, Mauersegler also serves as a foundation for the widely used park’s maintenance and sanitation, particularly in the summer and on flea market Sundays. Mauersegler has developed into a green oasis with beer, summer and winter gardens, and areas for private events.